(Newser) – A computer virus hit newspaper printing plants in Los Angeles and at Tribune Publishing newspapers across the country, disrupting production of the Chicago Tribune and its other newspapers. 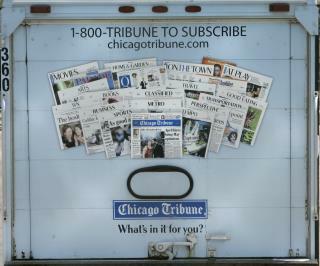 The print edition of the Chicago Tribune was published Saturday without paid death notices and classified ads, reports the AP, while in other markets a similarly slimmed-down version of the Saturday newspaper will be delivered on Sunday. "This issue has affected the timeliness and in some cases the completeness of our printed newspapers. Our websites and mobile applications however, have not been impacted," Tribune Publishing rep Marisa Kollias said in a statement. Tribune Publishing also reported the attack to the FBI on Friday, the Chicago Tribune said. Hmmm. John Kelly does an interview with the LA Times, and they immediately get hit by hackers. Trace it back to his old boss who calls the press the enemy of the people. Just Putin and his hackers returning the Christmas present of trump pulling out of Syria.